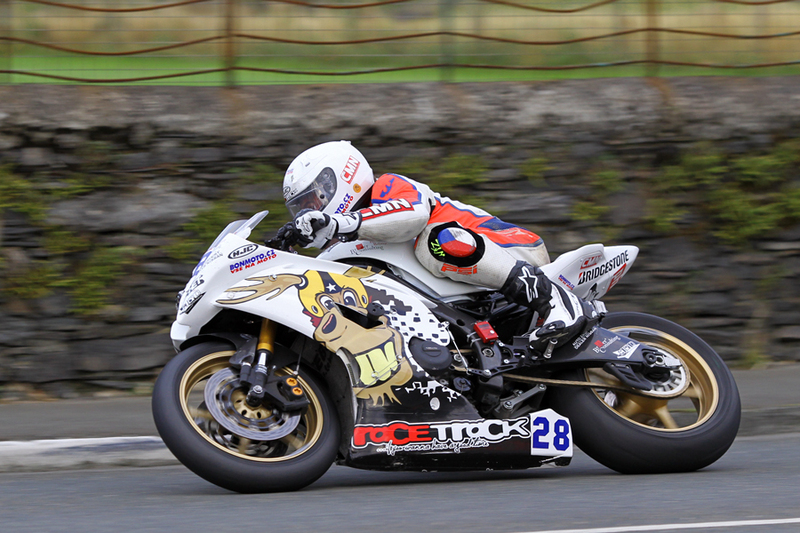 Ireland’s Michael Sweeney again dominated qualifying at the 2013 Manx Grand Prix, posting the fastest time of the night on his Junior machine but a number of challengers started to emerge including Northern Ireland’s Andy Lawson who clocked 116.875 on the 750 Suzuki that he’ll ride in the Senior MGP. Bolton rider Stephen Harper, who returned to the MGP last year after an eight-year absence, was timed at 115.999 on his Triumph while Stephen McKnight, who will be looking to improve on the third places he achieved in the 2011 and 2012 Junior MGP, was fractionally behind Harper with 115.998. Czech Republic rider Kamil Holan, the 2012 Newcomer A race winner, posted his first sub 20 minute lap of the week with 113.244. 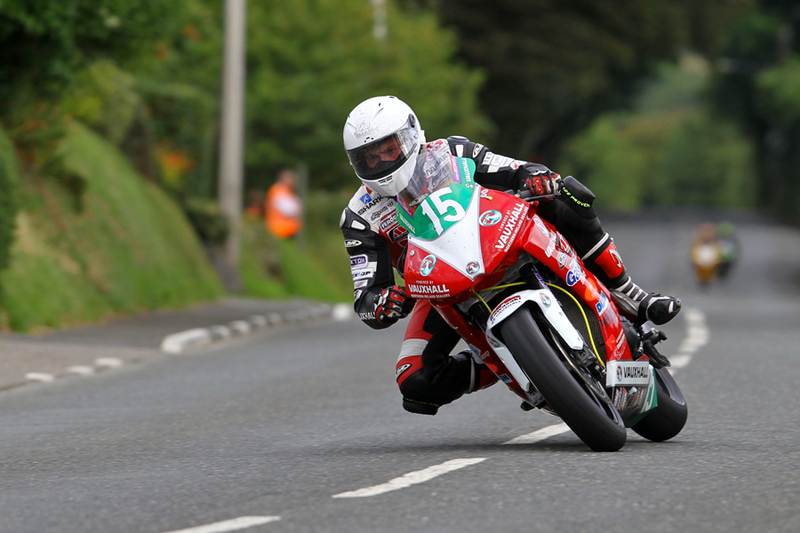 In the SuperTwin class, James Cowton continued to show the form that won him the 2012 Newcomer C race, topping the leader board with a lap of 112.600, the fastest newcomer lap of the week to date. Colin Stephenson (110.092) and Rab Davie (109.869) also posted their fastest times of the week, just behind Michael Sweeney’s 110.239 from Tuesday’s session. In the Newcomers A class Northern Ireland rider Neil Lyons again topped the leaderboard with 108.155 from Anthony Cooper (107.044) and Australian Alexander Pickett (106.897), whose father Chris is competing in the Classic TT meeting. Callum Collister, from Douglas, was the fastest in the Newcomer B class with 105.368 with James Neesom, Joe Faragher, Stephen Ault, Jason Markham and Peter Minns all posting 100mph plus laps. Clitheroe based Ben Roe was the fastest Newcomer C rider (100.465) with David Howard also breaking the 100mph barrier, the pair finishing third and fourth in the Lightweight session behind Bob Barrington (102.126) and Colin Martin (101.698). Colin Purslow (Quarterbridge) and Scott Smythe (Railway) were both reported OK after incidents while Mick Neeson was sustained a hand injury following an accident at Keppel Gate. Adrian Bowman was taken by Airmed to Nobles but his injuries were not reported as serious.